Oasis (2005) deals with plants produced for indoor use such as malls and hotels. The plants are often preserved, a process where they remain real but everlasting (ref. video ‘a landscape with no horizon’). Prior to the preservation process the plants are disassembled hence the preserved plants consist of modules, which are later put together according to the customer’s wish. 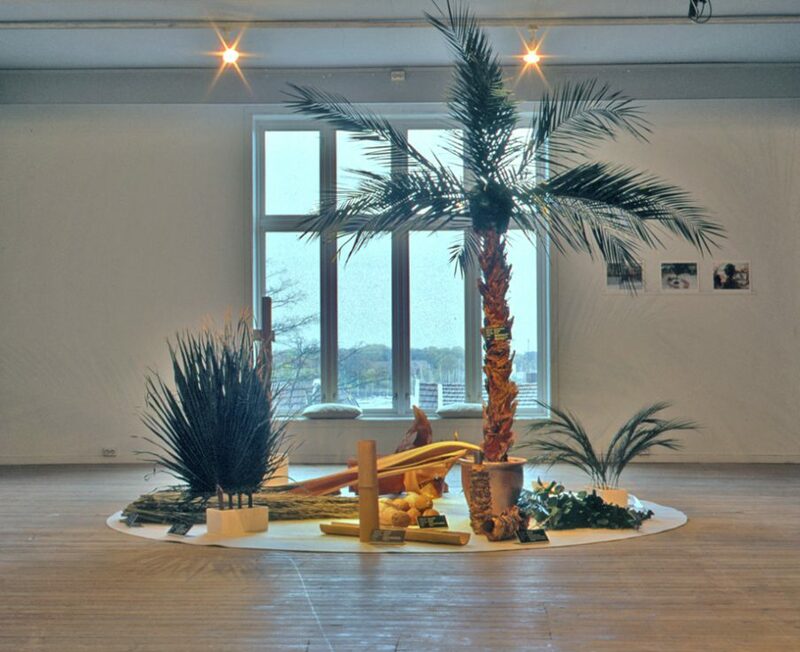 Preserved plant modules were brought into the gallery and presented as a deconstructed oasis. With references to labeling in botanical gardens and museums, identification and classification was emphasized, the opposite of the generic and iconic forms these products take on in commercial settings. Installation at Rogaland Kunstsenter, 2005.